I have today posted and circulated about the commencement of Sri Parthasarathi Brahmothsavam at Thiruvallikkeni divyadesam, posting photos of purappadu in Dharmathipeedam. 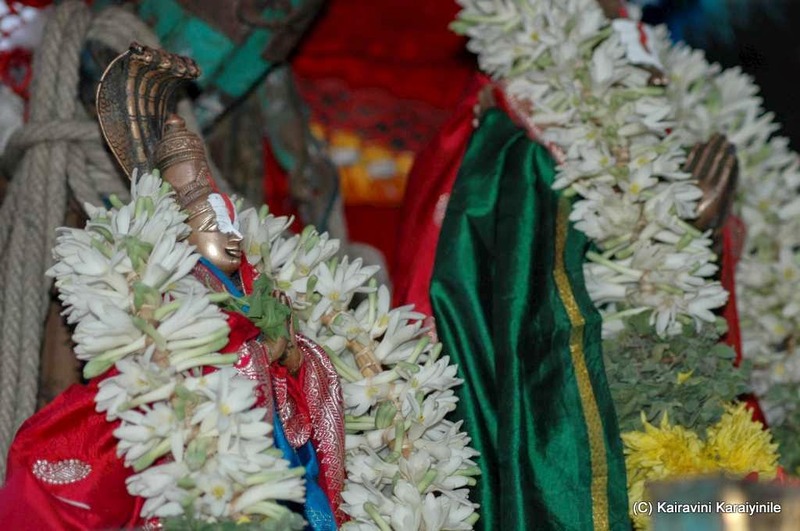 Brahmothsavam is a grand Celebration – a festivity of 10 days conducted for the Lord at Divyadesams. 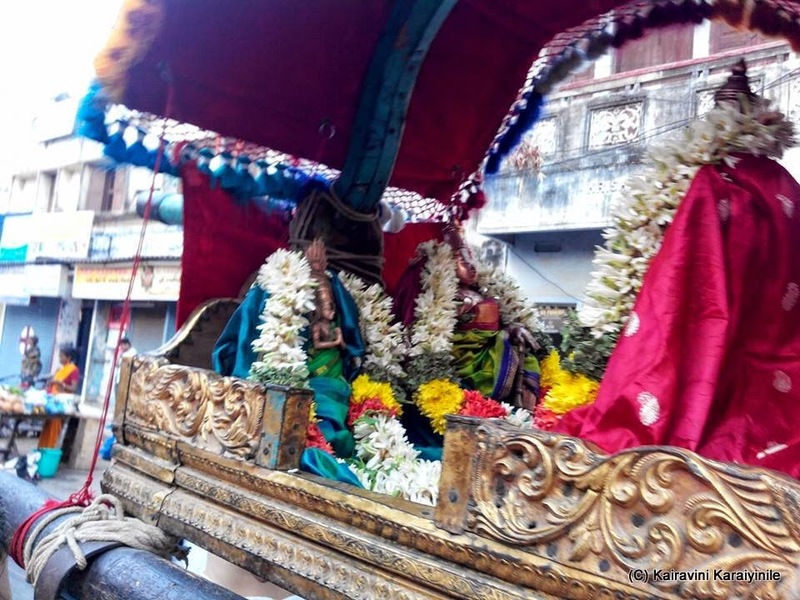 The origin of this Uthsavam is traced back to Brahma itself – Brahma originated the festivity and hence ‘Brahmothsavam’. 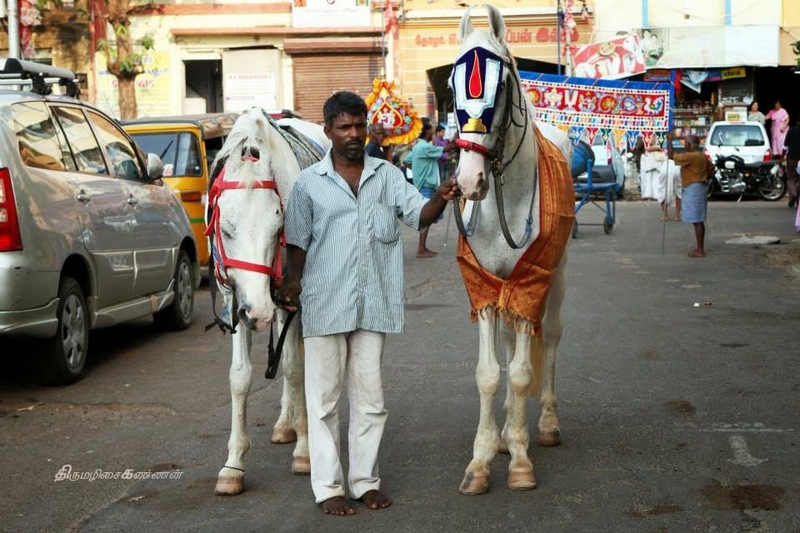 At Thiruvallikkeni, there are 2 Brahmothsavams – one for Sri Parthasarathi in the month of Chithirai and for Lord Azhagiyasingar in Aani. 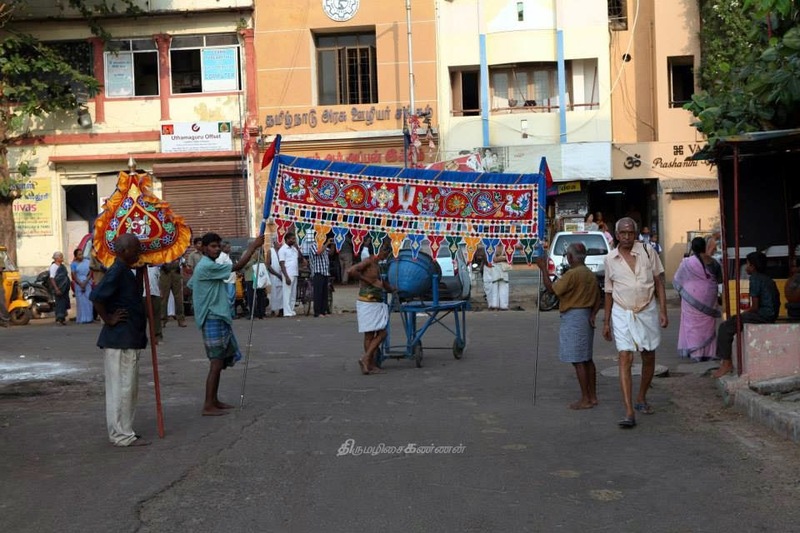 The brahmothsavam starts with hoisting of flag [dwajarohanam] and ends a day after the unfurling [avarohanam]. 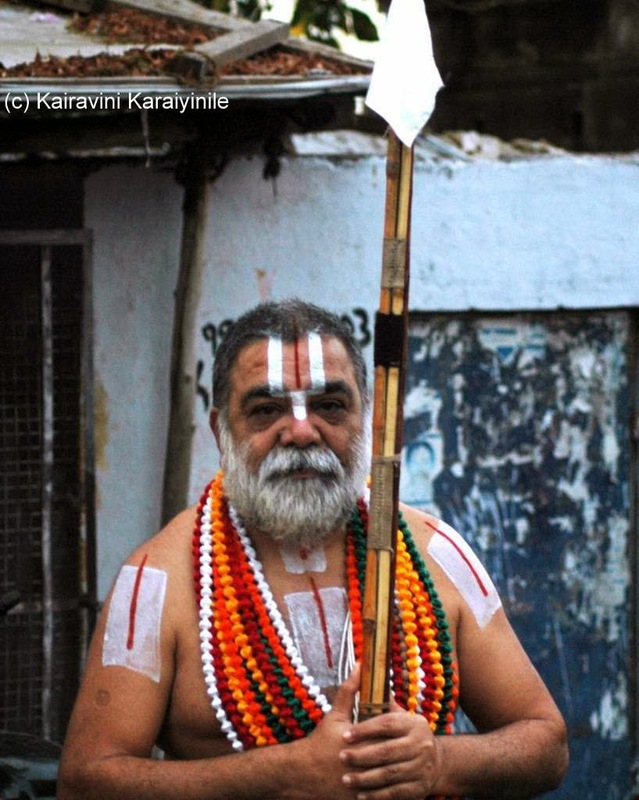 For this purpose , there are two kodi marams [holy flag posts] in Thiruvallikkeni. 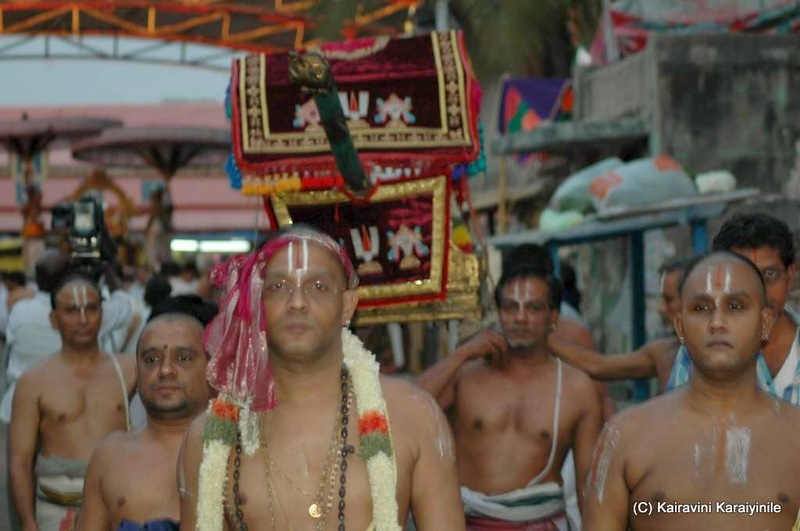 During the Brahmothsavam, Lord astrides various vahanams – of which the most prominent are : Garuda, Hanuman, Yaanai, Horse [not necessarily in the same order]. 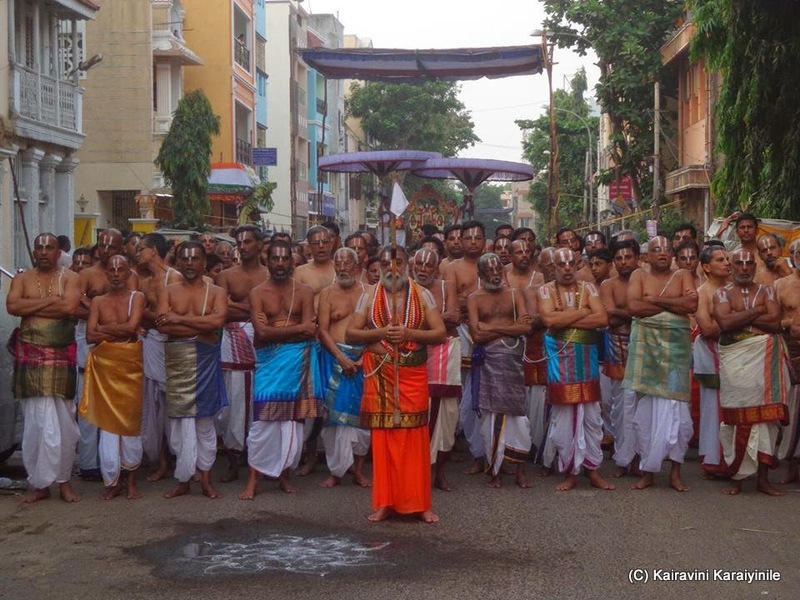 For the Brahmothsavam, it is believed that devas visit the divyadesam where Uthsavam takes place and every day both in the morning and in the evening – there will be bali (ritualistic taking care of such guests) .. on day 1, in a pallakku – the Nithyasuris – Ananthan, Garudazhwar, Viswaksenar and Chakrathazhwar have purappadu – before the Perumal and there will be 8 balipeedams.